This app allows you to generate a sequential invoice number for orders with Confirmed status using the prefix you have entered in the app. 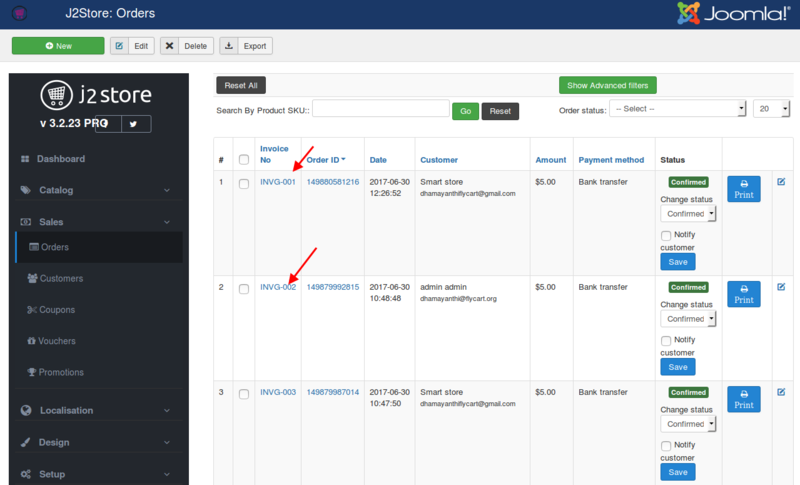 For example, customer adds products to the cart but does not complete the order, but there is still an invoice number generated. Quite a number of gateways including paypal require an invoice number be sent along with the payment request. Some gateways like Mollie require you to register the order with invoice number even before the payment is processed. So invoice number is kinda mandatory in those gateways. Generate sequence invoice number for orders with status "CONFIRMED". 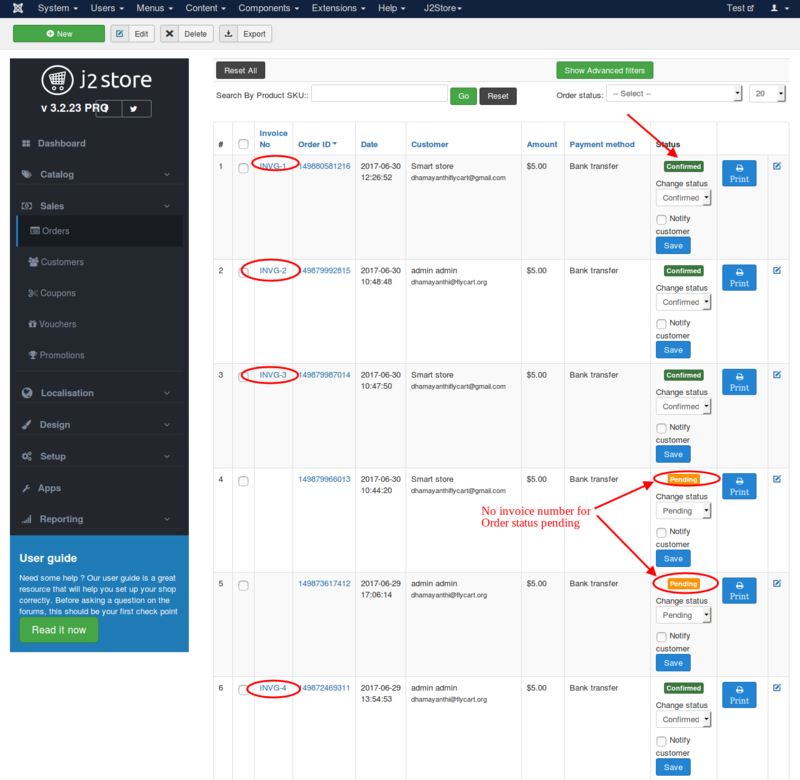 The default invoice number (used by j2store) would be used for all orders with the NEW status. You can treat these numbers as temporary numbers. The app also allows you to edit the invoice number and change it manually when required. Allows to define number zeros to be displayed after the invoice number. Download the Invoice Prefix app generator from our site and install it using Joomla installer. After installing the app, go to J2Store > Apps and enable the app named Invoice Number Generator. Once activated, click on open to configure the basic settings of the app. The prefix entered here will be used for the sequence invoice number generated. This option allows you to add zeros to be displayed after the invoice prefix and before the invoice number. If you have invoice prefix (for example INV-) and leading zeros as 4, then the invoice number would like INV-0001, INV-2,...,INV-0010. See the image below shows the leading zeros is set to 3 so the invoice numbers are INVG-001, INVG-002,..